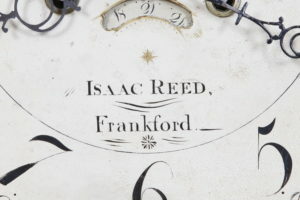 Isaac Reed was at work in Philadelphia (Frankford District) on the NW corner of 2nd and Vine St. from 1819 – 1822. 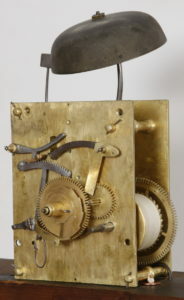 In 1823 he moved to 176 N. 2nd St and remained there until 1846. 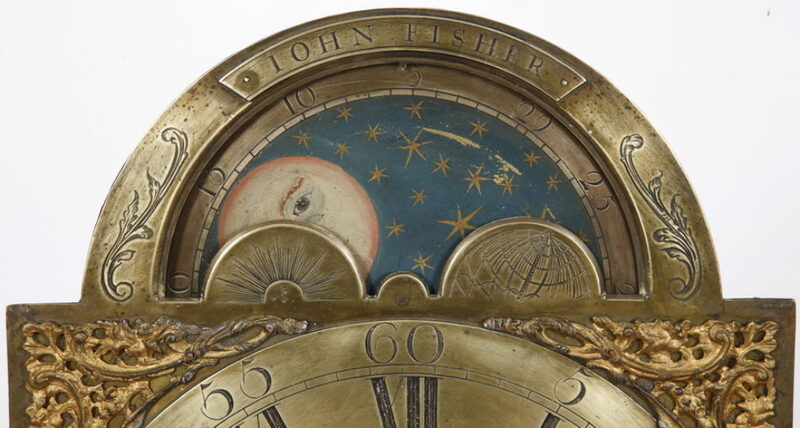 He was a Silversmith, Watchmaker and Clockmaker. 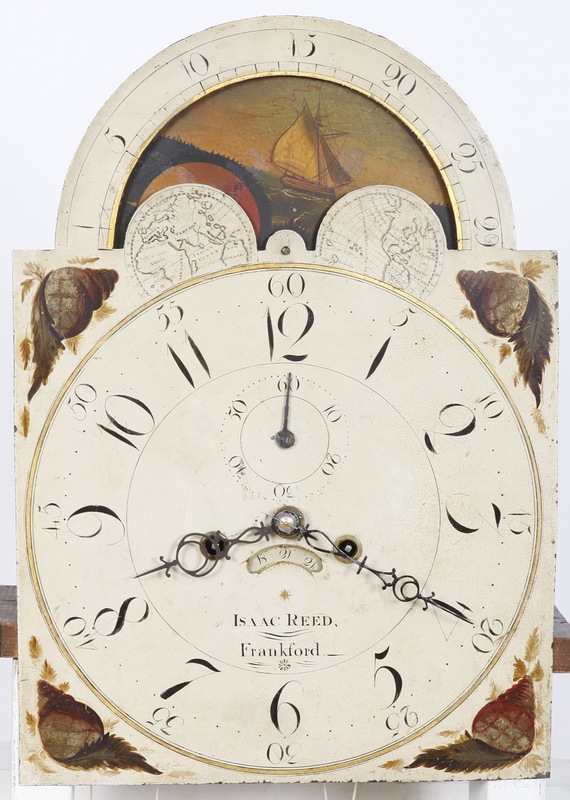 This example is from the late Federal Period and exhibits the classic rectalinear lines indigenous to the Delaware Valley. The primary wood is Cherry with long leaf yellow Pine secondaries. 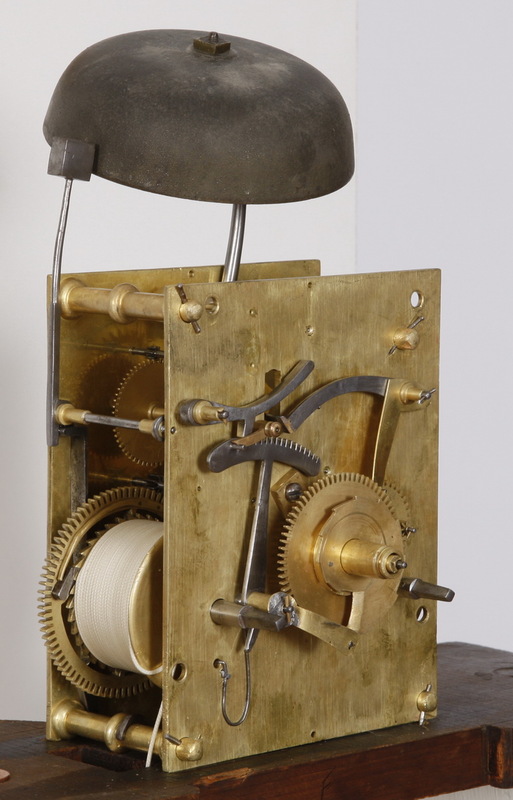 The eight day brass striking movement is coupled to an American Painted Iron Dial probably from the Patton & Jones shop in Philadelphia. 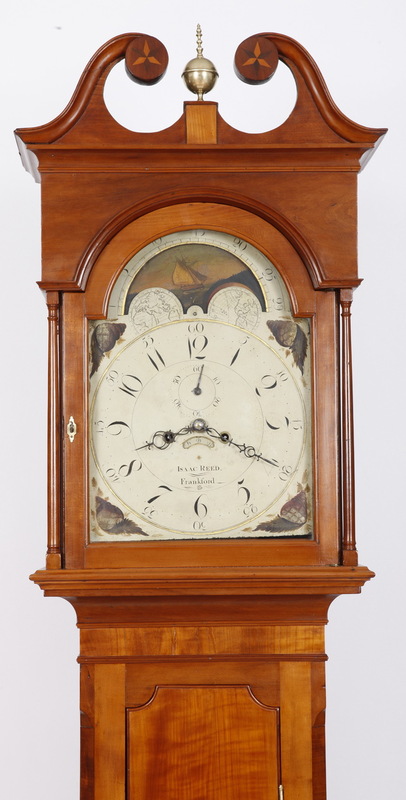 We acquired the piece at an Estate Auction in Eastern Pennsylvania: The clock is all original with the exception of the feet which are appropriate old, bench made restorations. 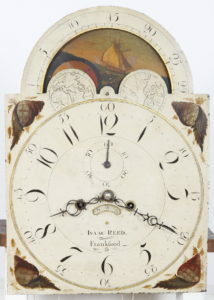 All in all a delightful “high country” example with a fabulous untouched original signed dial.